Tummy Trouble? Here Are 10 Foods You Should Avoid! Many people today experience tummy trouble, or indigestion. If you have it, you know the symptoms: burping, excess gas, bloating, diarrhea or constipation. But don't grab the next product advertised on television. A simple change in diet will help relieve the problem long-term. First, understand the causes for indigestion. Many of the things that trigger constipation include eating too fast, eating too much, alcohol, caffeine, smoking, spicy food and stress. Most or all of these triggers can be avoided. Diet is a very important part of the remedy. Here are 10 foods you should avoid if you experience frequent indigestion. Dairy products - you could be lactose intolerant, which means you can't digest the sugar lactose found in milk and other dairy products. Spicy foods - this is kind of a no-brainer. Many people just can't tolerate spicy foods. High acid foods - this is another irritant for many indigestion sufferers. High-acid foods include tomato sauce and citrus fruits, such as lemons, limes, oranges, and grapefruits. Fatty and fried foods - foods such as butter, ice cream, red meat, cheese, and french fries can decrease the speed of digestion which means these foods will be in your stomach long enough to cause indigestion. Processed foods - yes, this includes hot dogs, luncheon meats and other processed foods that contain a lot of preservatives and artificial color -- in other words, chemicals. Artificial sweeteners - this may be a new one for many indigestion sufferers. Sorbitol is the main culprit, and it can be found not only in diet foods and gum but also naturally in prunes, apples, and peaches. 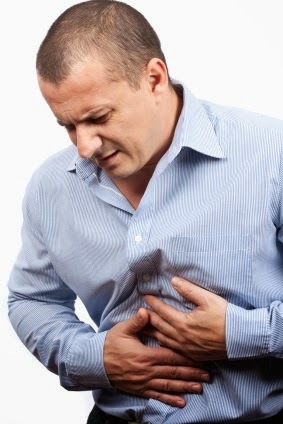 Alcohol - if you suffer from indigestion, you need to go easy on the alcohol. Alcohol can damage not only the stomach lining but the liver as well. Caffeine - caffeine causes diarrhea by stimulating action in the gastrointestinal tract. This makes food move through the system too quickly, resulting in diarrhea. Super sweet or salty foods - simply stated, excess amounts of salt or sugar are just hard for the body to digest. Expired foods - if you have digestive problems, you will need to watch more carefully the expiration date on foods. This includes just about everything, from meat to fruits and vegetables, dairy products and eggs.